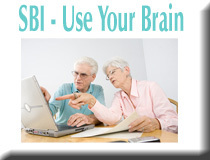 Retire to the Internet with SBI websites! Click the image to read Case studies from SBI! Are you curious about how I retired to the internet using Solo Build It!? I am no web know-it-all, and I don't do web coding, but I really did retire to work on my websites as I have a secret. My secret is a website tool that practically guarantees success (assuming you follow their Action Guide) and that is my website builder - Solo Build It! I retired April 2010. Today, I'm an Online Business Owner. SBI can be another income source for retirement. SBI has improved my retired life greatly... it can help to UN-retire you! Boomers simply aren't wired to sit there in retirement. SBI will re-energize you, motivate and challenge you. SBI gave me a new passion for life - it really did! That's just the beginning, income comes next! 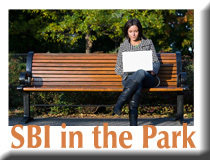 Instead of sitting there bored when you retire, build a website that helps information seekers! You found my retirement site, right? You can provide info to help others on any topic that you can write about. PLUS - the best advantage for retirees - you keep your brain thinking. We all need to be mentally challenged still... it's so important! Hey - you can even have both the rocking chair (red leather recliner, in my case.. grin!) 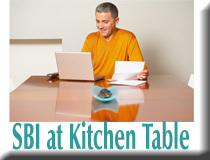 and a work from home solution with income! It's a win-win when you retire to the internet. I'm very serious about building websites, this is real and I will answer your questions any time... Just drop me an email! Do Something Extraordinary with your Retired Life! USE the lifetime of knowledge that is now stuck inside your head. Information which is pretty much useless unless you share it... and what others are seeking every day. Share what you know, with the world, to help others! Why Not? Seriously, why not share your life, talents, imagination and experience? These Are YOUR Retirement Years... Retire TO Something (Instead of Retiring FROM Work), makes perfect sense, right? Keep it Real with SBI and Share your Knowledge! Maya's quote (above) is my new destiny in life (my RETIRED life). I want to help and teach others so they can live a blessed retirement life as I am. Everyone doesn't succeed in building a website. It's not simple (though there is no website coding), it does require some analysis to assure you are picking a good niche and great keywords -- simply put, some folks don't follow the Action Guide. It practically guarantees success after watching thousands of website owners success and how they got there. It's a been there, done that guide... I followed it, and you can too. I am an affiliate for the Site Build It websites now. This means I make a commission on websites. I really will support and help you. I've done this for other retirees as I really want to help you succeed on the web. Questions? just drop me an email! 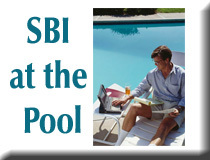 Click on the image to see all the tools you get with SBI! A time to truly "give back" to the world. You've worked, been blessed with whatever you have in retirement (we all have many blessings though we might not see them)... so why not use your retirement years to share your passion and energy with the world? You will keep yourself mentally fit too! Keep that brain thinking and not twirling in confusion. This is truly my JOY! Just think - no need to get dressed for “work” either (work in your pj's, blue jeans, whatever). Work Anytime - day or night! Are you a Night owl? Perfect! I can work when I want to and where I want to. I can write, play with creative images, learn something new, chat with other retirees or do anything I care to on my site and community. Click the image to see all the TOOLS inside SBI! So long as enthusiasm lasts, so long is youth still with us. Click image to see how others are sharing their passion. Everyone has invaluable ideas and significant thoughts. You know about something that someone out there needs to learn about -- you have knowledge to share, even better if you have a passion for something like I do with the Retirement Topic. 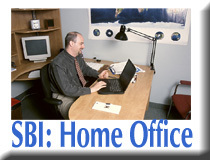 Website Ideas: Are you a family caregiver? Love canning or making jams and jellies? Are you the "cat lady" caring for your cat? Got a hobby to share? Do you travel? Write about your home town? Favorite singer or musical group. Whatever... the ideas for a website are without limit! This is the creativity I love with SBI... Love being creative! Whether you write about your knowledge from a lifetime career, or write about something fun or interesting (I've done both) – why not help others with what you've learned over a lifetime? Download the FREE e-book ”Make Your Knowledge Sell!” Here. Websites provide "Work" Freedom - to come and go as you please. You are your own boss. You own an e-business where there are no set times or places to work. Some e-biz owners take a month for vacation, and even when you aren't working on the website, it's still working for you. Some folks have had family members that needed help (care giving for parents, family illness, etc) and months later they return to work their e-business which still has plenty of visitors and the income didn't end either while they were away! 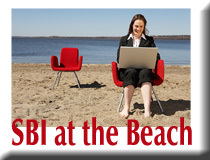 or sit on the beach with your laptop, working on your site! That would be me! Grin! 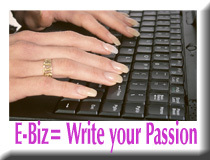 Websites and Sharing Your Passion IS Totally Addictive! ... But you really can Retire to the Internet, like me. This is deeply satisfying work - it feels so good to keep your brain stimulated by sharing your thoughts and ideas with the world! When you get feedback from visitors - it's simply awesome! In 2010, I helped a Monk in Germany set up a blog and we are now corresponding frequently. A very interesting guy that I would never have had the opportunity to “meet” without my website. I've met so many great retirees through my site... awesome! My new identity in retirement is an e-business owner, retirement consultant, pen pal organizer, and now with my newest site, I'm a Christmas Geek too! We all lose our identity when we retire - suddenly, who am I? Wife and Grandma, is that all there is? No.. no way! Find your own retired life, website or not, there is a fulfilling life beyond retirement! You will also be challenged as you learn about e-business. John, an engineer techie I met online, just started a solar website and he can't believe how comprehensive the SBI tools are and how different from his prior work. (You don't have to be an engineer to do this, I'm certainly not). The SBI Action Guide, to me, really is a college course in website ownership. There are forums to help you too... filled with chatty helpful website owners. This is FUN "Work" – this really is so much fun! I look forward to mornings to check my emails, and checking who left a retirement story on my website. Yep, I really do have fun with contacts worldwide! 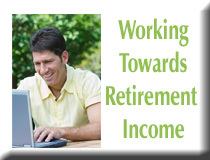 Retirement Income – Did you know there are oodles of ways to earn money on the net? Probably not.. when I talk to friends and family, they are surprised to learn this. This isn't a Get Rich Quick Scheme. It does take time to build a website (and lots of content... so you need to enjoy writing). 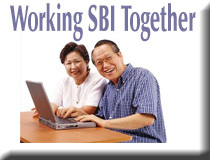 I won't lie and say it's totally easy, but there are MANY retirees doing websites using SBI... AND this is an exciting, challenging, stimulating ride! Click photo to see how this works. 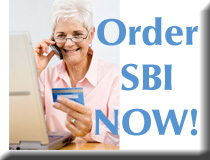 There is a step by step Action Guide from SBI... that takes you by the hand and leads you through the entire process. Browse through it at the link above, and see what this is all about. The guide is both in an e-book and in video too! IF you need a supplemental retirement income, or simply want to earn money so retirement withdrawals from savings are less, this does really truly work. If you are looking for a quick income, it's not SBI. Just think, your website is out there 24/7, even when you aren't, AND it reaches a worldwide audience (not simply those nearby). However, if you already have a local business, you can use SBI too! Many do! Supplement your pension or Social Security with a passive website income, especially in these hard economic times! Honestly, the income comes later -- after you've established the website and have lots of visitors. Like any business, you need to prepare for your customers before you get paid. And your income simply depends on the time and effort you put into the site. If you work at it full-time, you'll have income sooner. If you play with it a few hours here and there, it will take more time.... makes sense, right? I love my work-at-home “job” so much – I do! That's why I feel the need to share what I do here. I hope this helps someone else to a nice retirement income and the feeling you've really done something helpful too! This isn't just any old website - it is TRULY a proven, genuine business model. It is deeply satisfying to share your thoughts with the world. I read this the other day and the words rang true to me... as so many retirees that write to me have "nothing to do" and are so unhappy. twenty-four crowded hours of the day. Happiness in retirement is doing something worthy of your time (volunteering, teaching a class, learning something new, or being a website owner). Finally, and maybe Best of all, you don't need to learn web coding, the SBI software is almost a "fill in the blank" type of website. You pick a header or a paragraph and start typing... after you've found great keywords! Seeing is believing! Really! It's hard to explain it all here.. but if you click you'll go through a video tour. This is the place to order SBI -- click photo to go to the order page and learn more -- you'll see a guarantee for trying SBI too. If you have any questions, SBI representatives are here to help you. I am also available to answer questions -- before or after you buy a website - anytime, just drop me an email! I'd love to help you! Retire To the Internet and HAVE FUN! P.S. Just a warning – if this sounds good to you, but you decide to blog or take a cheaper website provider, you will likely be in the 95% of website owners that fail. Well, wait – you might be happy with simply writing for fun. That's not failure, its what you intended to do. BUT if you want LOTS of free visitors each month and you want an income too, think twice! Many website owners use their time and effort to build a website, and get no visitors -- so in the end, it's really worthless. That was ME for many years online... uggg! All that wasted time and money! Have A Question about SBI or My Website? Enter Your Question/Comment Title (Topic) here. Would this sell to the world? Newly Retired... Depressed to SBI!